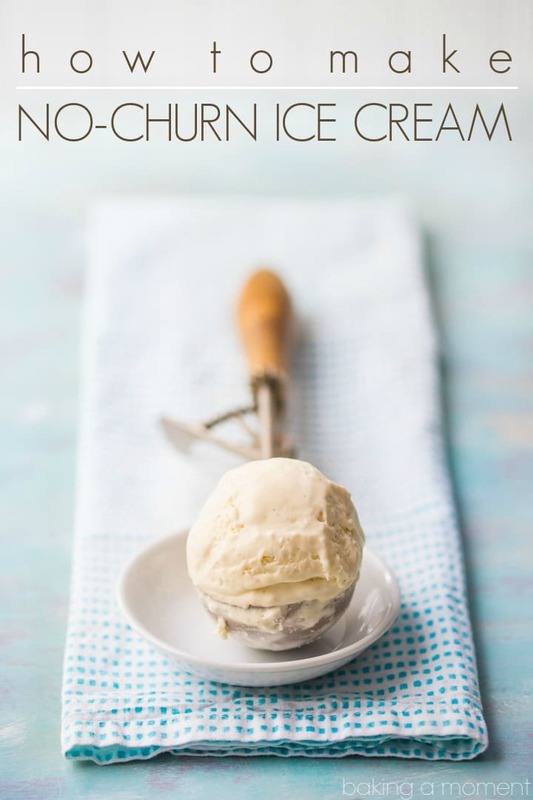 How to Make No-Churn Ice Cream - no ice cream maker required! 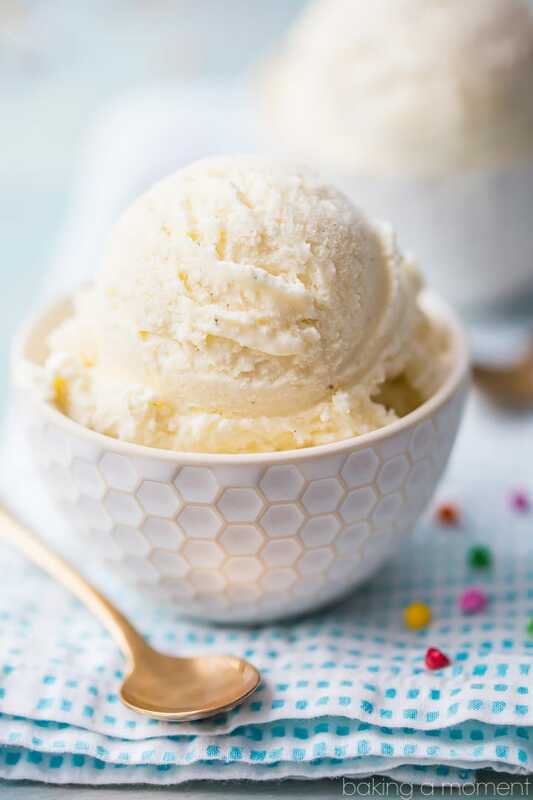 Learn how to make no-churn ice cream with this easy recipe. 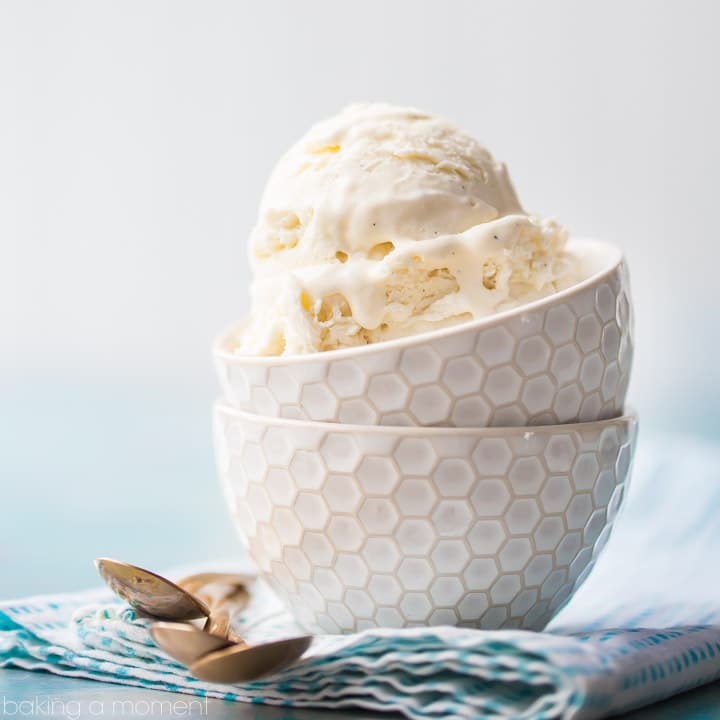 You can make homemade ice cream without needing a special ice cream maker appliance! Hey there my friend! Hope you were able to keep cool over the weekend! It sure has been a great summer so far, am I right? We’ve lucked out with the weather being mostly sunny and not too terribly hot so far. And on those days when the mercury does rise a bit higher, there’s always ice cream to cool you off! 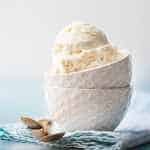 I have a lot of homemade ice cream recipes on this site, and up until recently they were all the old-fashioned, slow churned kind. You just can’t beat it for richness and full flavor. But last year, I posted this Mint Chocolate Chip Brownie Ice Cream Cake (of the no-churn variety), and everybody went nuts for it. Including me, lol! I was sure I would not like no-churn ice cream, but boy did I turn out to be wrong. Turns out, no-churn ice cream can be darn good if you go about it the right way. So today, I’m going to share everything I’ve learned about how to make your best-ever no-churn ice cream! 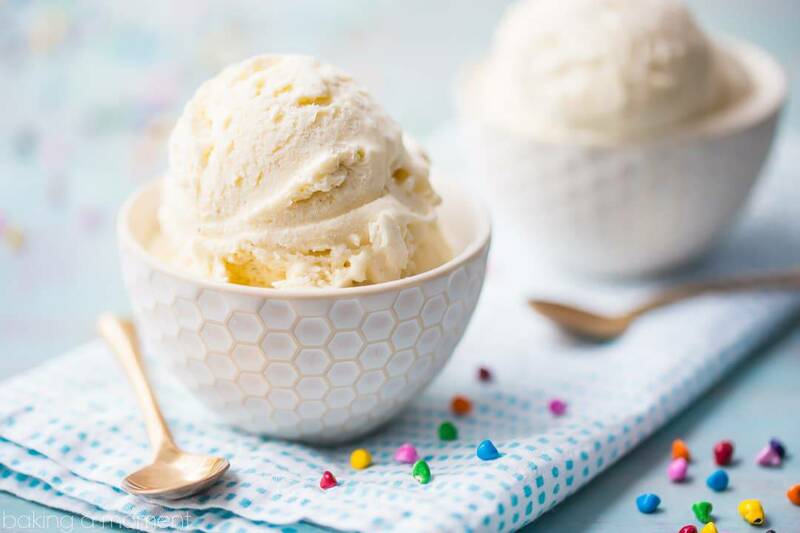 If you’re not familiar with the ice cream making process, there’s basically two ways to go about it: the old-fashioned way (which starts with an egg custard that’s cooked, cooled, and then churned in an ice cream maker) and the no-churn way (which is a pretty nifty shortcut). The old-fashioned way has the most incredible richness. It’s so creamy and decadent. In my opinion, store-bought can’t even come close to the incredible flavor you get with homemade, slow-churned ice cream. There’s a bit of extra effort involved, but I don’t think you’ll ever regret giving that extra care and love. It pays off in flavor for sure! My favorite recipes are this Simply Perfect Vanilla Ice Cream, and this chocolate ice cream recipe. The only down side with these kinds of recipes is that you really have to plan ahead. The canister of the ice cream maker needs to freeze overnight, and the custard needs time to chill before you can churn it. So you’re really looking at a 2 to 3 day long process (mostly downtime, but still). With no-churn ice cream, you can whip up a batch the moment the craving strikes. And it’s only a small handful of ingredients, depending on the flavor you want to create. For this tutorial, I am sticking with vanilla, for simplicity’s sake. But you could jazz it up however you like. Add in some chunks of fresh fruit or fruit puree. Or some of your favorite candy, brownies, or cookies. Fold in some melted, cooled chocolate. Try adding pretzels, or swirl it with jam, marshmallow sauce, or chocolate syrup! The possibilities are endless. As you can see in the video below, it’s as easy as whipping some cream, folding in a little sweetened condensed milk, and whatever flavorings your heart desires. It’s pretty basic. And because it’s not quite as rich and decadent as a slow-churned ice cream recipe, you want to make up for that with your add-ins. Since this vanilla variety is so simple, I recommend really amping it up by using the best vanilla extract you can get your hands on (and plenty of it! ), as well as a real vanilla bean. (If you can’t find vanilla beans in your local supermarket, it’s really easy to order them online.) All of this will just take the vanilla-ness of it all straight off the charts! You’ll never even believe you’re eating a shortcut ice cream recipe. And please don’t forget the salt! Fat carries flavor and so does salt, so don’t leave it out! You won’t believe the difference just a little pinch of kosher salt can make in all of your desserts. 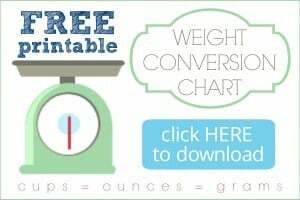 It will really take your no-churn ice cream from good to great! More great ice cream recipes on my “Ice Creams, Mousses, Custards & Puddings” Pinterest board! Place the heavy cream in a large mixing bowl and whip on medium speed until it holds stiff peaks (about 4 minutes). Add the sweetened condensed milk, vanilla extract, kosher salt, and vanilla bean seeds (or other flavorings/add-ins). Fold together until well combined. Transfer the mixture to a loaf pan, and freeze for 2 hours (or preferably, overnight). Haha I know! The possibilities are limitless. I totally get you on not having room in the freezer- that’s always a problem for me too! So glad to hear that it worked well for you! And I love how you got so creative with the flavor. Thanks so much for the great feedback and for pinning. Good luck with the elimination diet! This is a great recipe! I made it for my birthday party on Saturday night, started it on Friday afternoon, and it has a terrific flavor, with an additional tsp of vanilla. One thing I’d suggest adding to the recipe: soak the vanilla bean in very hot water for between 20-30 minutes. Trust me, it makes emptying it out SOOO much easier. I find this ratio reeeeally sweet and even the children couldnt eat it. Can i half the condensed milk? will it still set? or mayne substitute it with something less sweet? You can definitely cut back on the condensed milk Sophie! It will actually set up harder if you do. So, a little less soft but still really creamy and good. Thanks for reading! So doable! I’m going to make this tonight! Hey Sasha! I’m not sure what you mean about the ingredients- could you clarify? You do not have to use a loaf pan; that’s just what I like to use because it makes the ice cream easy to scoop. You can use any kind of container with a 5-cup capacity. Will do Lisa! I’m so happy you enjoyed. My pleasure Mateo! Hope you enjoy!